Half of Slidell Parades Are On Probation! 4 of 8 parades is big news. I’ve written about parade problems in Jefferson Parish before, including this entry about West Bank parade difficulties. Violations abound, and the krewes could lose their right to parade if they commit further violations in 2016. I personally believe first violations should receive a warning. Mardi Gras krewes are a precious commodity. It takes oodles of cash, tight administration, organization skills and lots of dedicated people to successfully launch a parading organization. Mardi Gras krewes don’t grow on trees, they need to be nurtured carefully. Intentionally bruising Mardi Gras krewes helps ensure fewer krewes. While the ordinance has been in effect for 2 years with no infractions noted before, putting half your krewes on probation is never a good idea. Why not ban Carnival in Slidell while the Council is at it? 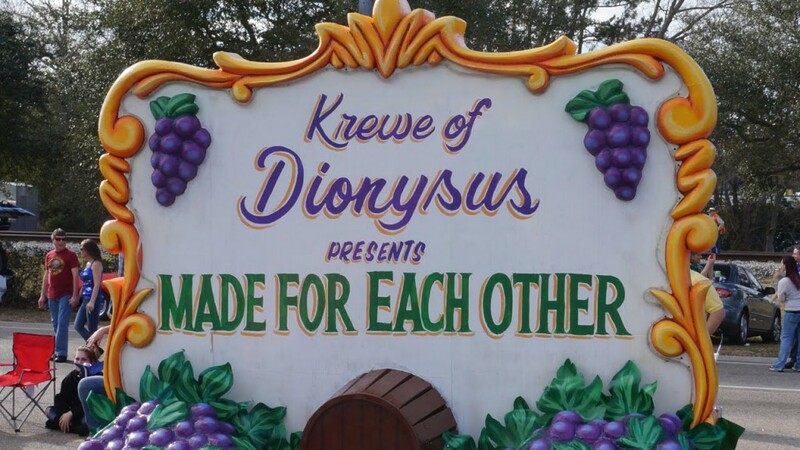 The four offending krewes are Dionysus, the Slidell’s Woman’s Civic Club, Claude and Perseus. The four parades without letters are the two walking parades, Mona Lisa and MoonPie and Krewe de Paws of Olde Towne plus Selene and Titans. Over the last few decades, a hands off attitude concerning local parades was in effect. Things got tough in 2013 when the Slidell City Council adopted a litany of rules and regulations governing Carnival. 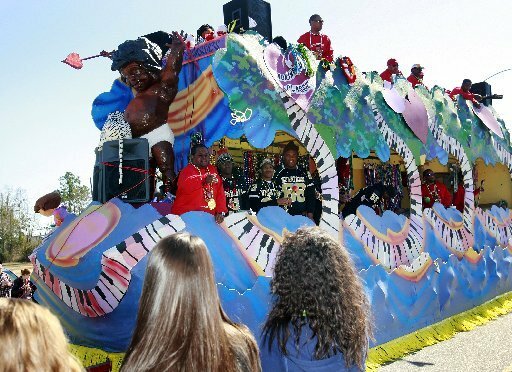 New Orleans had toughened their parade regulations, and Slidell followed their lead. Reasons for probation- insufficient floats, riders, and bands; inefficient parade tempo; inappropriate dancing and music (?). This seems very petty. Parades are mile long, living processions that sometimes develop gaps. DJs have to produce hours of music. Once every blue moon, a curse word may sneak in a song. It’s not the end of the world. It certainly doesn’t mean probation. Something seems out of whack to me. Dionysus captain Andy Frisard mentioned an email informing krewes about a meeting which stated failing to attend could jeopardize their permits. That set the meeting off on a unfriendly tone. Why threaten your krewes, who work hard and spend a small fortune to produce their parade for the good of the community? Contrast this with the response of the Jefferson Parish council, which recently gave Jefferson krewes high marks even though apparently many parade infractions occurred. Questionable throws and fighting are among the violations committed. It looks like Jefferson is getting lax while Slidell is tightening the screws. Jefferson krewes committed some egregious violations and got away with them! Throwing light bulbs (2014) and drug testing kits (2015) to the crowd is downright sick and dangerous. 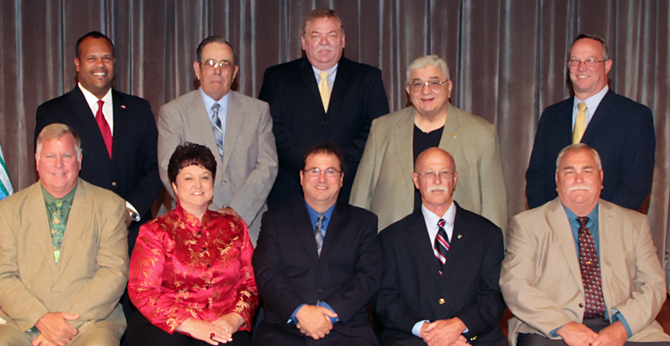 Who is the Jefferson Council kidding by granting this clean bill of krewe health? What’s the motivation here? Jefferson Parish has been recently burned by old line krewes abandoning the parish for greener pastures on St. Charles Avenue. A check of sanctions passed by Jefferson in the last few years shows in 2012, 5 krewes were fined $1,300. The next year, 6 krewes were penalized $6,000. Last year, 1 krewe was fined $500. Slidell hasn’t lost any krewes to sanctions or parade route jumping yet. It should be interesting in Slidell the next few years. A New Financial Order Comes to Slidell Area Parades!! I have been going to Slidell for decades for parades, friends and clients. Slidell’s krewe of Claude is the first major parade of the Carnival season. It seemed after Katrina that Slidell’s growth was speeding to some sort of record. Welcome to the future, Slidell might be big but they are obviously suffering financial problems, as they are telling the local krewes to pay half of cleanup and security for their parades. Only six of the eight krewes have to pay. These krewes share the main parade route. Digging a little deeper, sales tax revenues started dipping in 2007 and continued until 2010, the last figures released. 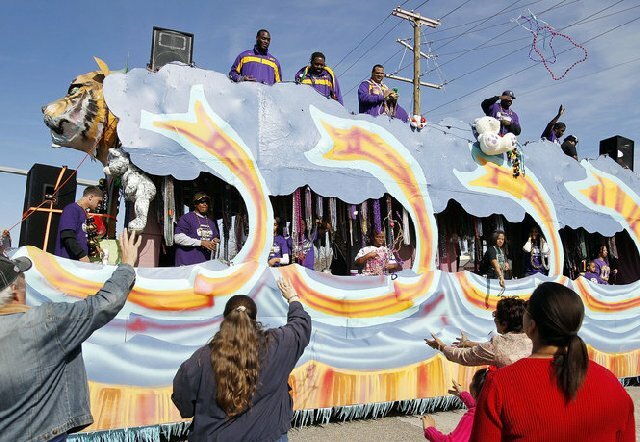 It turns out that city and parade officials have been working on a new Mardi Gras ordinance for fifteen months, but it hasn’t been introduced and won’t be considered until after Carnival. Meanwhile Mandeville recently waived billing its four Carnival krewes, which comes to approximately $70,000 in parade costs. There are other factors influencing this situation, such as the delayed opening of Slidell’s new municipal auditorium, the replacement for the trashed building caused by Hurricane Katrina. This forces the Slidell krewes to come up with a replacement site for this season’s balls. One ended up in a vacant food store, another is holding their ball after the season ends. It seems someone needs to do an economic study of Slidell’s Mardi Gras krewes impact on the local economy to settle the big issue here, just how important the krewes are to the parish’s bottom line.